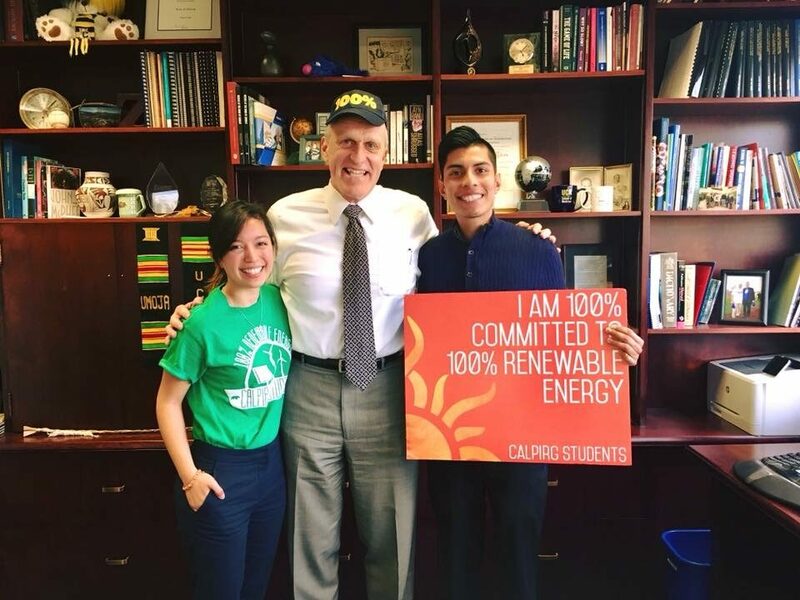 In Fall 2018, we won our campaign to pass SB100, which committed the state of California to getting 100% of our electricity from renewable sources by 2045. 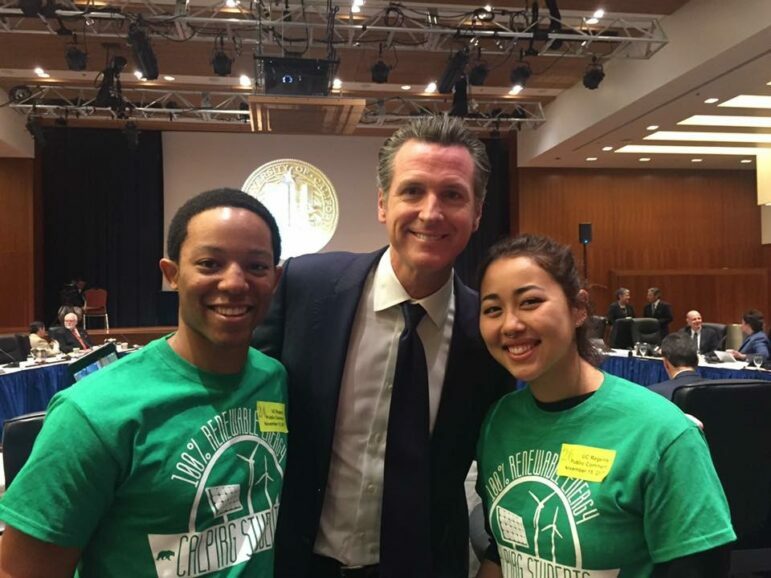 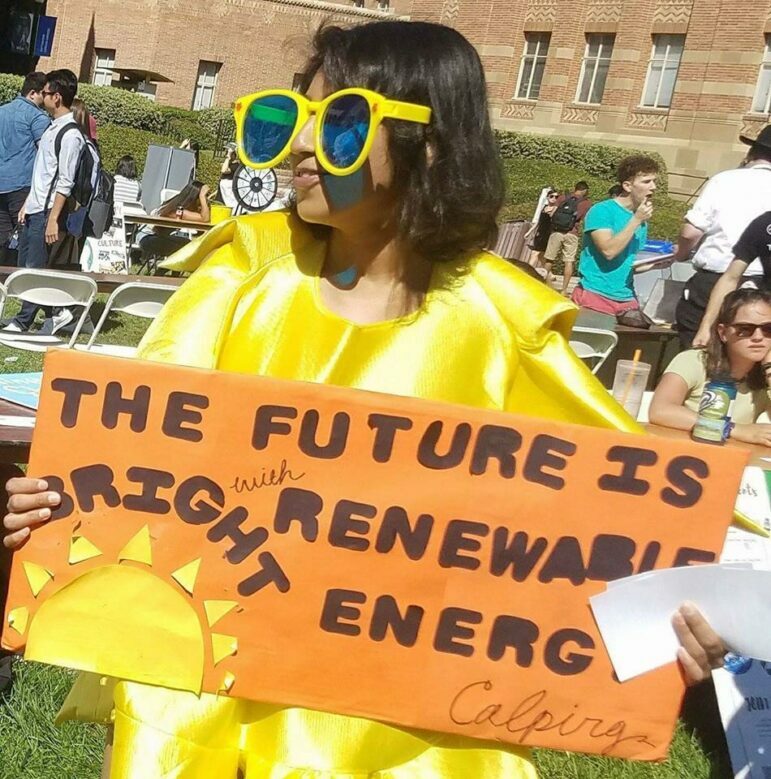 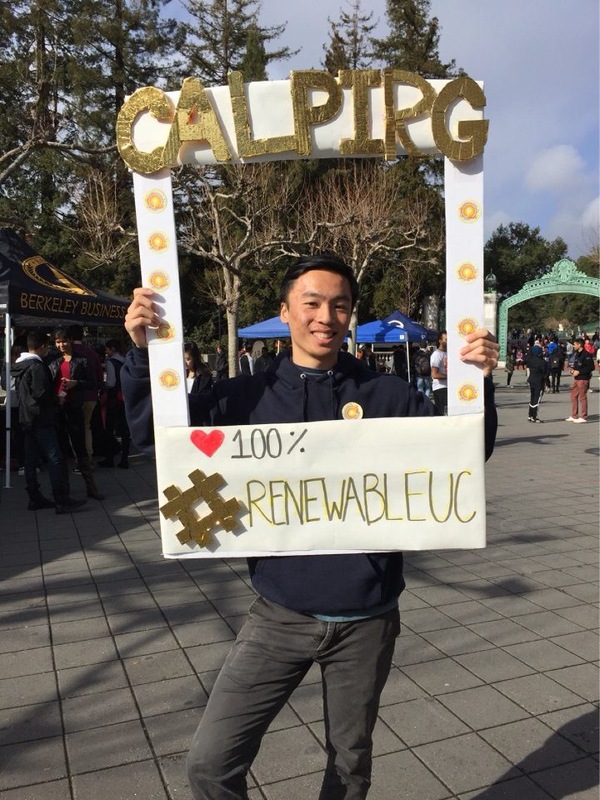 Days after the state legislature passed SB100, the UC system committed to 100% clean electricity by 2025 and cited CALPIRG’s 100% renewable energy campaign as a reason why they made the commitment. 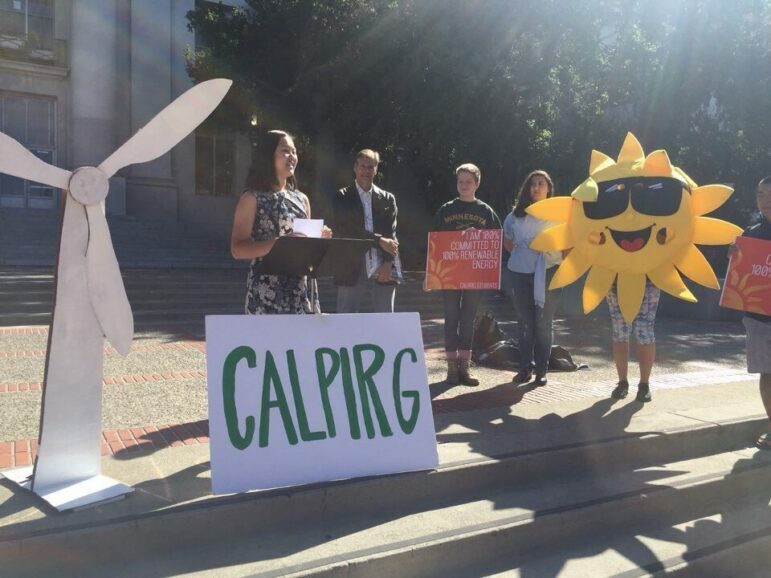 Now, we are continuing our work to move our state towards 100% clean energy by turning our focus to the largest source of greenhouse gas emissions in our state, transportation. 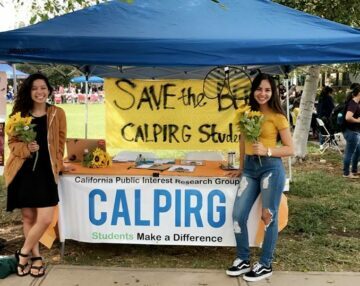 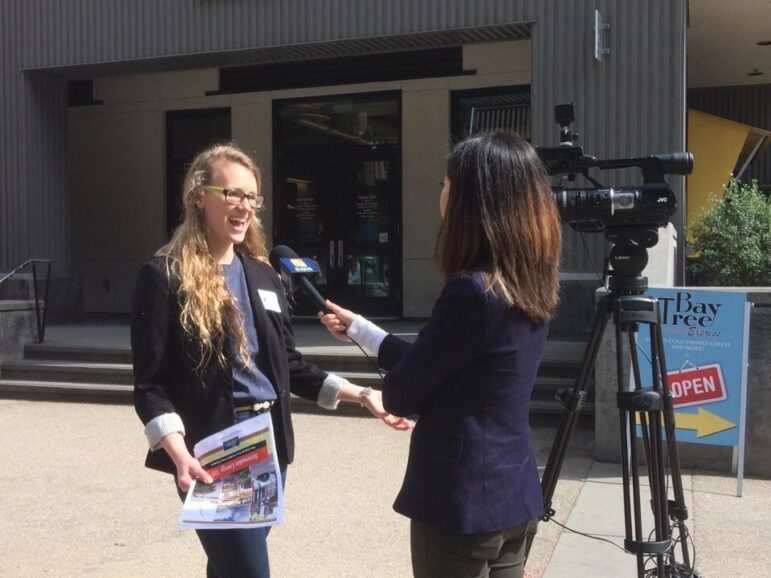 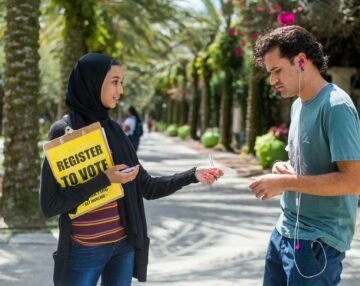 The California Air Resources Board is planning on voting on a proposal for 100% electric buses in California by 2040 and we are working to show student support for a YES vote on 100% electric buses in California. We are working to get our campuses to commit to 100% renewable energy with a new focus on getting campuses to commit to having 100% electric bus fleets by 2030. 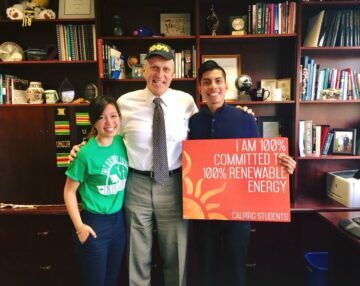 We are also working with our surrounding cities and school districts to make commitments for 100% electric buses by 2030. 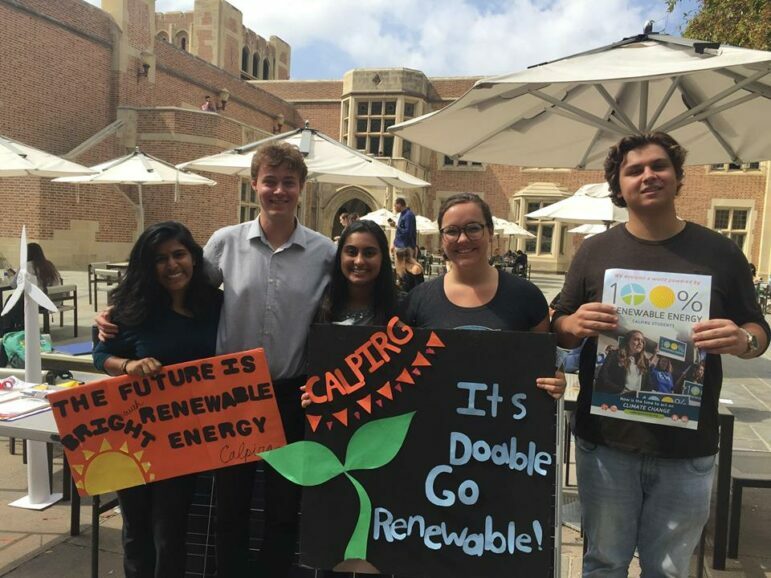 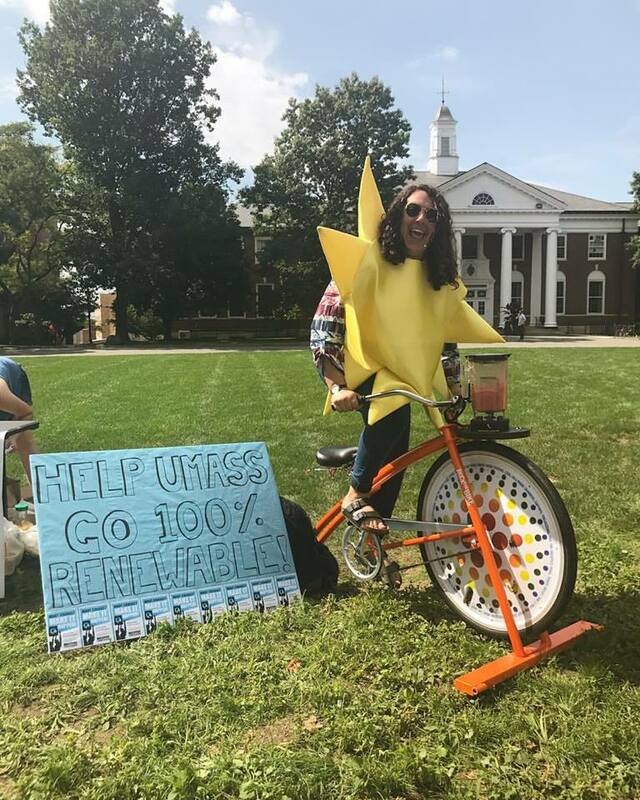 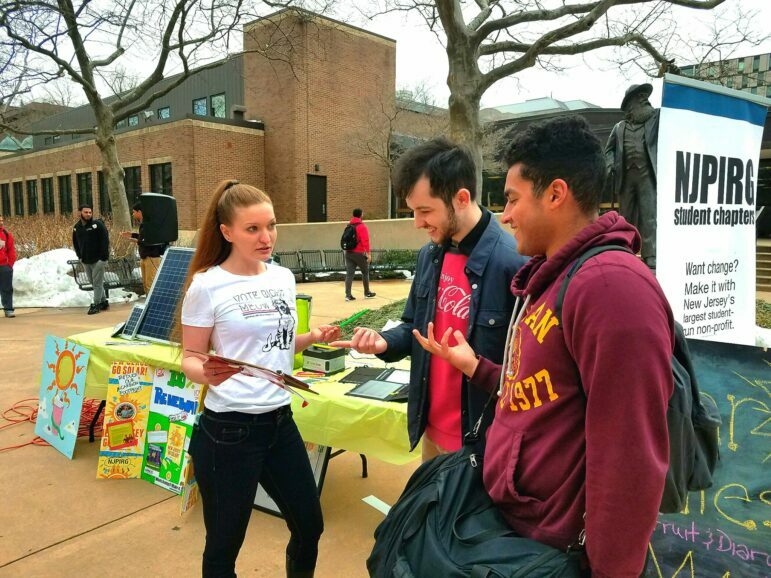 We are showing support from students, faculty, and parents, as well as meeting with administrators and elected officials to make 100% clean energy commitments.